Sooooo shiny!! 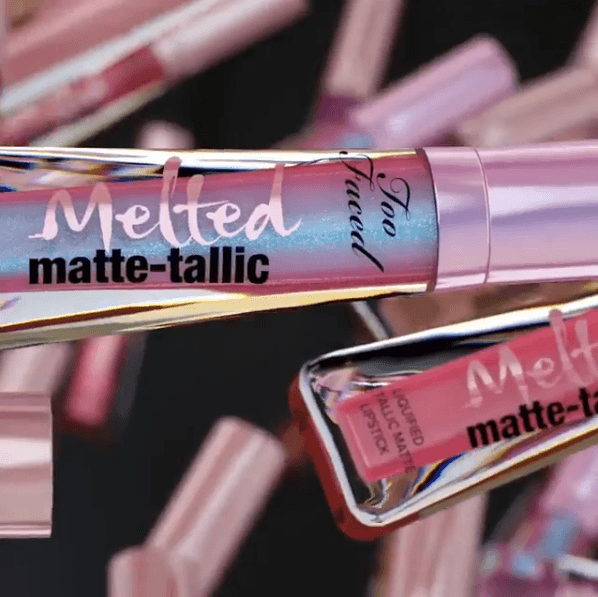 Too Faced is launching their new Melted Matte-tallic Liquid Lipsticks on Monday, 6.11! 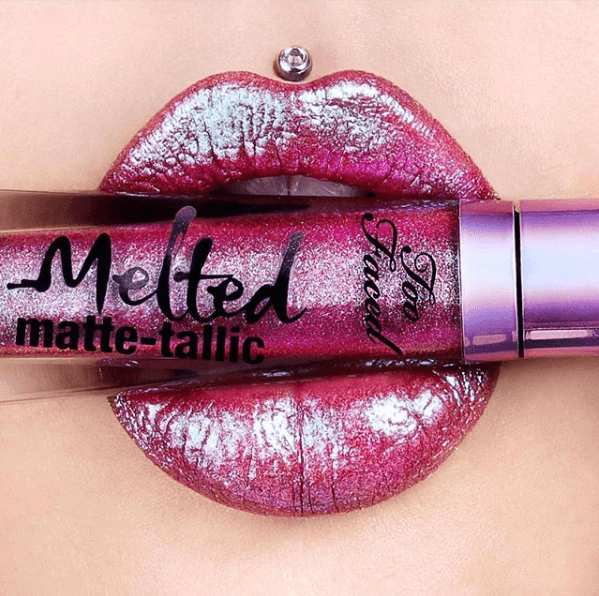 This is an extension of their popular Melted Matte Liquid Lipsticks but in these beautiful bold new metalllic shades! 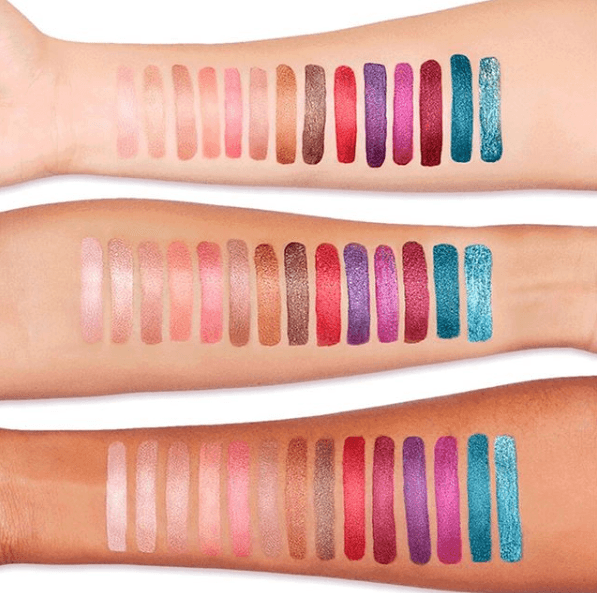 Just look at those swatches! There will be 10 new shades at $21 each! Is it just me or does mettalic and matte just like, not go together?? When I think of metallic, I think shiny and glossy, not matte! But these do somehow seem to fit the description & we are loving how unique the idea is! However, we are just a little unsure about the actual product – didn’t the mettalic lip trend come and go like, last year?? I just feel like no one is talking about or wearing mettalic lip products anymore. Am I just missing something, though?? Let me know if so! I do sometimes feel like Too Faced ends up coming to the party a little late when it comes to makeup trends so I guess I’m not surprised but… I’m just not sure everyone will be lining up for these bad boys on launch day, ya know? And as much as we LOVE the purple, pink and blues, we just cannot bring ourselves to rock those on the daily – or almost ever, tbh. But the lighter shades do look really really pretty and also don’t seem overly metallic – promising?? We shall see!